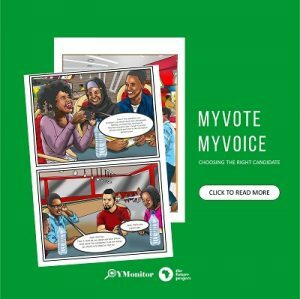 Home 2019 Election #2019Election: A critical look at the 2019 elections, would the figures matter? We have had more people registering in this election than in the previous election. According to INEC, 84 million people registered for this election, though this does not necessarily translate to having such number participate in the election. A breakdown of the figures showed that Lagos has the highest number of voters in the country with 6.5 million, followed by Kano that has 5.4 million. These two states are perhaps key deciders of the forthcoming election. Candidates contesting for the office of the President, especially the dominant candidates will fight to have a large chunk of vote from these two states, if a candidate has Lagos under his belt, he would be having 65% of the entire south-east votes. But this is not enough, let’s take a look at the regional figures. There are six Geo-political zones in the country. The North-West has 20 million registered voters, 24% of the entire number of registered voters in the country, it’s followed by the South-West with 16 million voters, 19.39% of the total registered voters; South-South came third with 13 million voters, and 15.9% of the total figures; North-Central are fourth with 13 million voters, constituting 15.9% as well, North east has 13.4%, with 11 million voters; while Southeast has the least registered voters with 10 million, thus constituting 11.9%. As much as this figures are key, voters turn out on the day of elections would is paramount. The history of elections is fraught with more voters turn out in the North than in the South of Nigeria. It is also important to note that 51% of the voters are young people, some of whom are first time voters who have not experienced military rule, thus they are not weight down by the burden of history. Hence, it may not be wrong to say that candidates who can appeal to this demography of voters putting into consideration the realities of the millennium has the potential of going home with 42.9 million votes. Beyond this also, young people must know that they are a considerable force to reckon with in this election, and that bloc could actually decide the election. Yet elections are won by those that turn up, irrespective of the number of people who have their PVCs. The question then is, how many of this 84 million registered voters would actually get their PVC, how many of those who eventually are able to get their PVCs will end up going out to vote in the elections, these are factors that would eventually affect the outcome of the election. But if we have more people registering to vote in this election compared to what we had in the previous years, then it is not wrong to say that we may also have more people actually turning up on the election day. One of the reasons for increased voters registering has been the relentless advocacy by CSOs who have suddenly realised that elections re determined by numbers and that most times, it is difficult to rig an election where there are large turn out of voters. Some how the numbers would count unlike before, and whether we like it or not, every one vote will matter, every one vote would be a decider, and for the first time, it may be difficult to underestimate the power of one vote. We expect more voters turn out in those places with large number of registered voters, even in Lagos, the elitist centres that usually have low turn out may spring surprises. This election would not change the historical pattern of voting in the country, the only difference is the fact that we have two major candidates who are from the same Fulani ethnic group. Voters in the in the north may have a tie in their hands, but the southerners may not necessarily go out of their usual pattern of voting. It will be difficult to rig an election where people actually showed up, the numbers will count, but it is important that voters be on the watch and protect their voters.